I still have no idea what or who in the makeup community determines the next great trend or must-haves. But right now, color correcting is (trying to be) the new liquid lipstick. Marc Jacobs, Urban Decay, YSL, and others, have all released color correcting sticks, powders, and liquids one after the other. Just last month, I couldn’t go on Musings of a Muse without seeing another update of a soon to be or already released corrector primer in the common “Fix it, Jesus” colors of orange, lime meets seafoam green, and yellow. Color correcting has always mystified me as much as contouring because I know that it can be extremely strategic. I first bothered with correcting while using LA Girl’s PRO Conceal in “Orange Corrector” as I read the shade was best for deep skin tones. I’ve used it plenty of times on my trouble spots and always liked the results. It helps to erase a bit of my hyperpigmentation. But that’s as far as color correcting has gotten for me. I’ve been tempted plenty of times to get the Ben Nye or Sacha Buttercup banana powders for the undereye and never did (because frankly, I also wasn’t very skilled at undereye concealing). And the “tribal” correcting tutorials I’ve seen on YouTube, even from beauty vloggers I like, just appeared ridiculous. (Sometimes the vlogging world can come across so gimmicky). 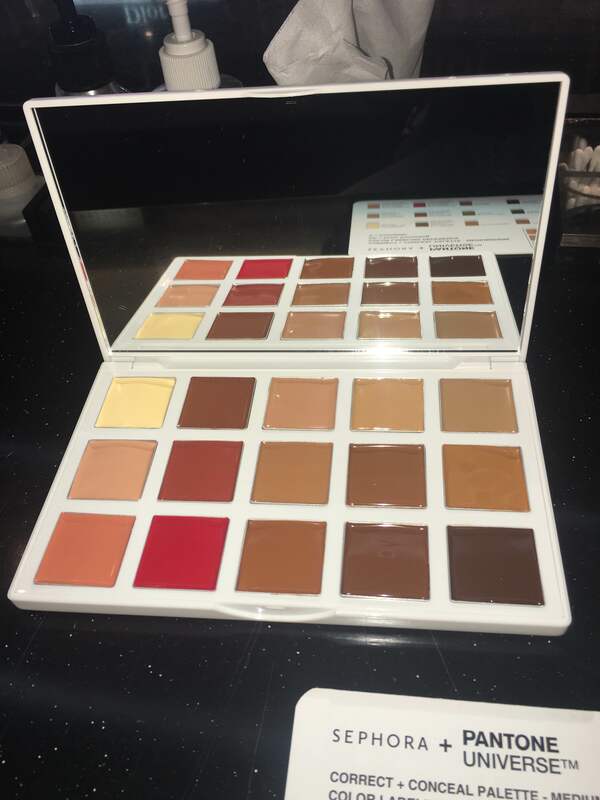 Yet cue the drumrolls please, because when I saw the Sephora x PANTONE Universe Correct and Conceal Palette, my thirst level reached the zenith and suddenly, I really wanted to learn how to use the wide-range kit of browns, beiges, and yellow. I bought the “Medium/Dark” palette before knowing how to use it (that’s how thirsty I am for makeup), but the Sephora cashier that rang me up informed me that I could always come in and be taught how to work it. That was good enough for me. 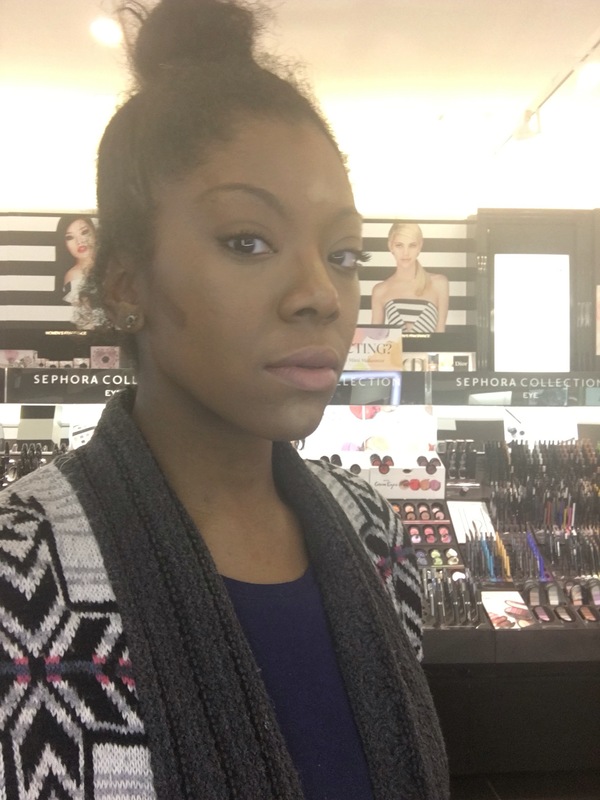 A few days later I was at Sephora in the luxe Shops at Chestnut Hill Mall in Newton, MA. Once there, in no time, I had a specialist willing to teach me! Her name was Tanisha and she had full-on glam eye makeup behind her glasses (no shade here. I’m a four-eyes too). She was also wearing a Sephora Collection lipstick shade that resembled M.A.C.’s popular grey-lilac “Stone” hue. 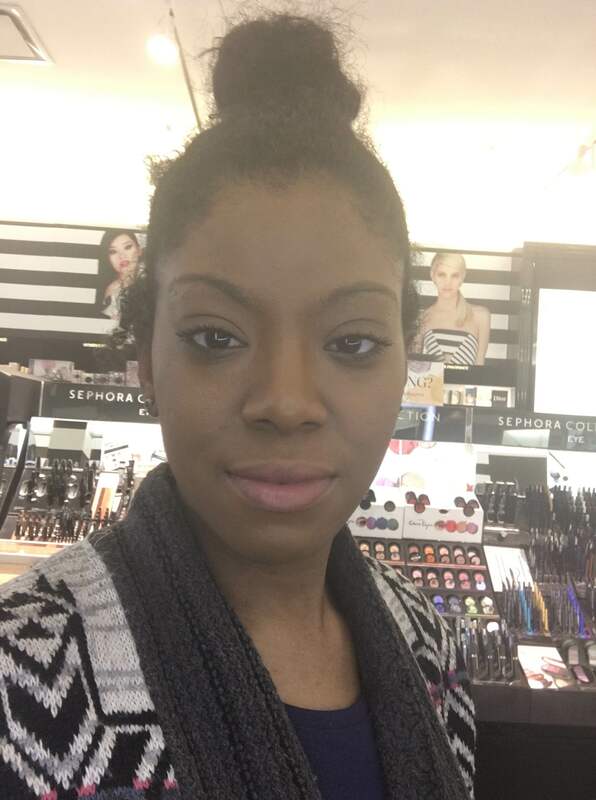 Hilariously however right after I disclosed that I needed help with mu color correcting palette, both Tanisha and her manager, whom she was just speaking with, looked at me and commented that I didn’t need to color correct because I had great skin. I laughed it off and reassured them that I did have foundation on (specifically Cover Girl’s QUEEN Collection CC Cream in “Espresso”). But both continued to look at me amused and quizzically. From the jump, Tanisha’s approach was friendly yet informative. First, we wiped off my face makeup with a peppermint-scented makeup remover. Tanisha continued to reassure me that my skin was great. That was uplifting to hear as while I don’t think my skin is bad, I definitely try to cover up the hyperpigmentation and can be hard on myself about certain spots. 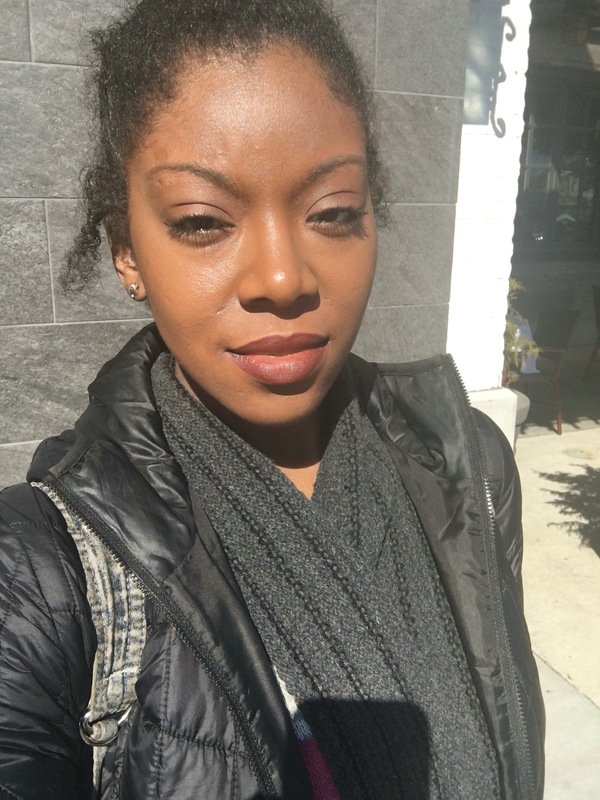 Tanisha basically implied that dark spots did not equate to “bad skin” and that she’s had clients in which their skin was indeed struggling or rough. She also stated that due to my melanin, as a makeup artist, sometimes makeup application was not only fun but easier, for the surface is smoother. This was all semi-news to me and I mentally thanked my mom for getting me to wash my face with 100% pure coconut oil in recent months. And now, sometimes castor oil too. 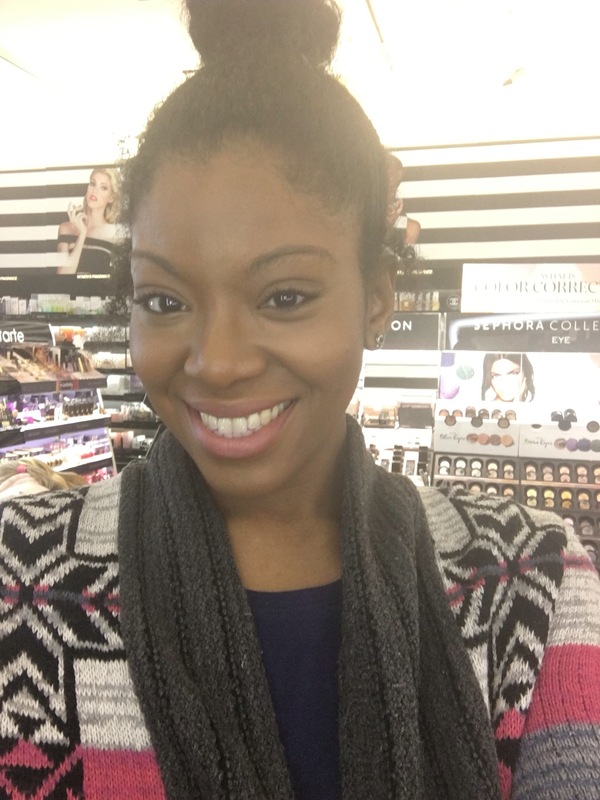 She then primed my face with Make Up For Ever’s Step 1 Primer in “Caramel”, saying that she really liked this one for complexions like mine. She whipped up a clean brush and first poked into the orange shade of the palette, #11, on the bottom row all the way on the left side. 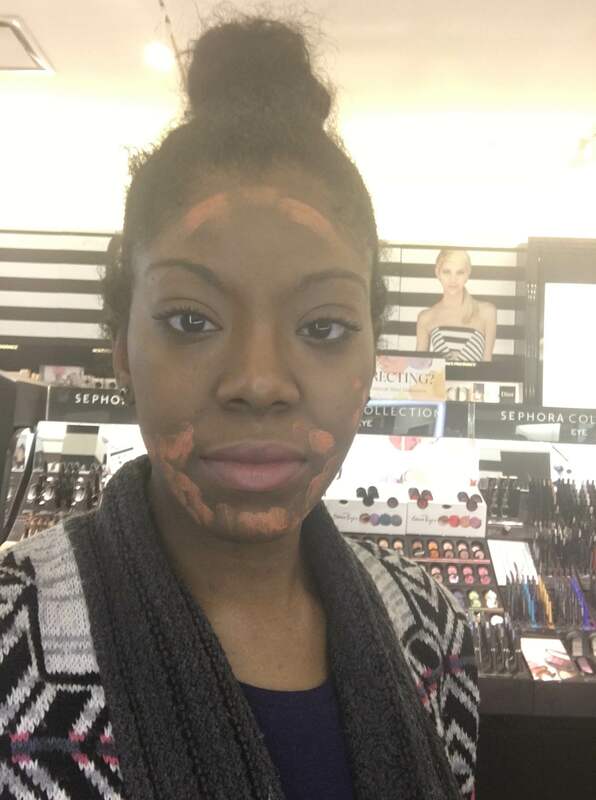 I had already alerted her that I mainly wanted to focus on the mouth area and with the brush she dabbed orange concealer around my mouth, jaw, chin, and upper forehead. 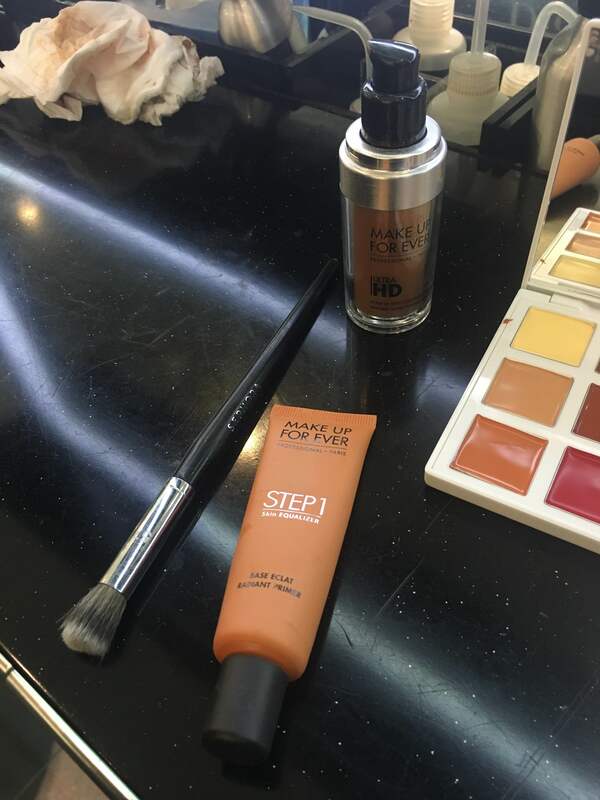 She then lightly patted the product onto my skin and explained how for the sides especially, this was important as it would balance out the orange and make foundation application smoother. Tanisha especially wanted me to make note of putting and spreading the concealer towards my jawline so that the foundation would also seamlessly go with my neckline. I can’t remember if she put on the foundation before or after the undereye. I would put it after, but I’m sure either way goes. She did select, after using the Color IQ gadget, Make Up For Ever’s HD Invisible Cover Foundation in 175. 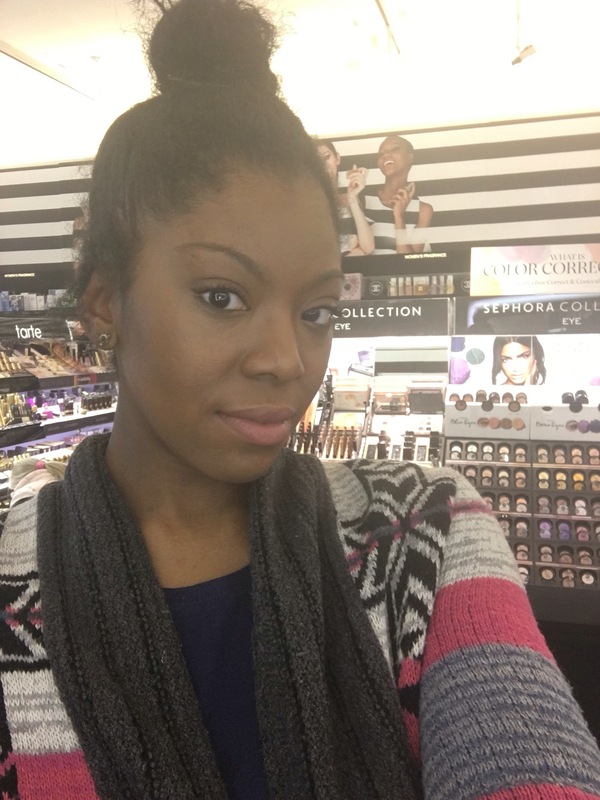 She exclaimed that due to #11, she didn’t have to put on as much or lot of foundation. 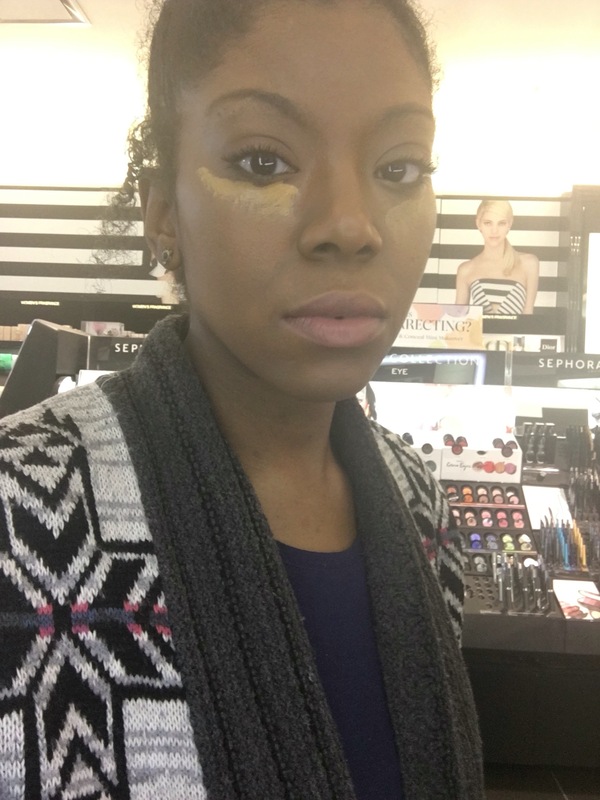 For the under-eye, Tanisha didn’t reach for the standard yellow as I expected but instead went for #3 and #4, beige to tan brown colors that still appeared yellow (just muted) on my skin. This was the part where it became hands-on as Tanisha patted one undereye and had me do the other to expose that undereye concealing wasn’t as difficult as YouTube might’ve made it out to be. She also explained how to get that brightening effect that the vloggers always love showcasing. It actually was easy to achieve. If you prefer a heavier undereye, that’s on you. The last step was how to use the chocolate shades, which on my tone, though deep, can be used for contouring. Cream contouring also gives me the heebie-jeebies as I’ve always worried it would appear streaky (powder can too, but it’s easier to diffuse). Tanisha swiped two smooth lines of dark brown and began blending it out. It looked natural! My iPhone pics aren’t super great but I was happier with the end result in person. Tanisha then took a picture for herself and she later posted it on her Instagram. I took more pictures outside to see how all that color correcting looked in natural light. It was good! Mission accomplished! The palette costs $49 before tax depending on where you live. I know that price is kind of yowza, but I do recommend it as you can experiment with all the colors and use them for more than just color correcting or on the face. Tanisha had even suggested that the sole red hue could be used for blush! There are practically no limits to the palette. Previous Previous post: #TBT Throwback Thursday and Jam Of The Day: “One More Chance (Remix)” by The Notorious B.I.G. Next Next post: THE GLAM DOWN: Brand New Makeup Line, The Estee Edit, Is So Good!